Oh, the 2011 BC Lions. Forever, ‘that team’ that started the season 1-6 and won the Grey Cup. Every team since who has started poorly cites the Lions 2011 season as reason to not give up because they’re at the bottom of the standings. And the 2018 Lions are likely using the same refrain. Although many know it from experience. Travis Lulay was the CFL’s Most Outstanding Player. 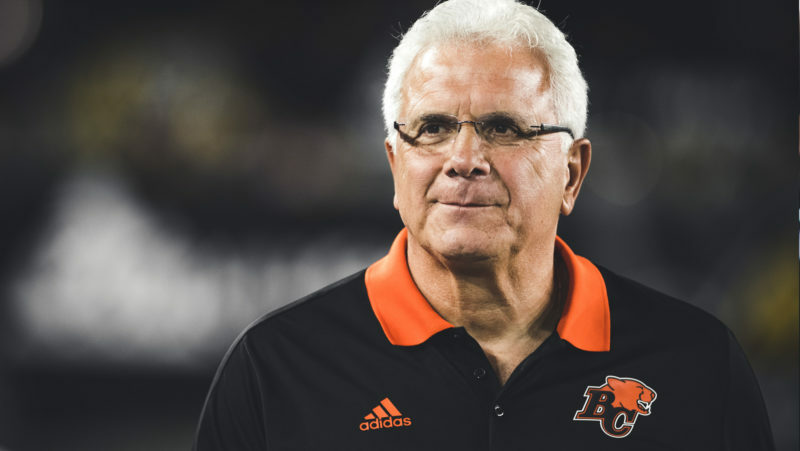 It was to be Head Coach Wally Buono’s last season on the sideline (Note: ‘to be’). Lions current offensive coordinator Jarious Jackson was the back-up quarterback, already learning the ropes to become an assistant coach in BC two years later. Geroy Simon, now a team scout, was hauling in another 1,000-yard season. Yes, the stories they could tell of a team that was struggling to find a way to win, only to have it finally click in mid-August, against the Edmonton Eskimos. It was a convincing pounding put on the Eskimos, who came into that game with a 5-2 record and were tied atop the West Division with the Calgary Stampeders. That win sparked the Lions to an eight-game winning streak and began a stretch of 12 wins and one loss to finish the year, including four wins against Edmonton, including another convincing win in the Western Final. Of course, the latest team citing that improbable turnaround is the current edition of the Lions. The Lions are 2-4, facing a good 5-2 Edmonton Eskimos team. 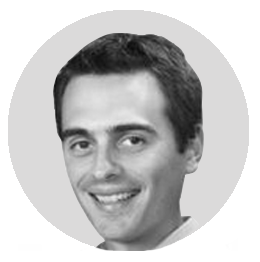 It also feels like the Lions just need that spark that could ignite a win streak. The Lions do face a favourable schedule with six of their next seven games against the East Division and the other being against a team directly ahead of them in the 3-4 Saskatchewan Roughriders. The last two losses for BC appear to have some hope of a potential turnaround. They were up by three with two minutes left against Ottawa and last week were down 18-10 to the still undefeated Stampeders (in Calgary) with 15 minutes on the clock. Both winnable games. But like 2011, there was the inability to finish teams off or be able to mount that comeback to win. Although, they did mount that comeback four weeks ago to find their second win of the season against Winnipeg facing a deficit of 17-0 after half time. 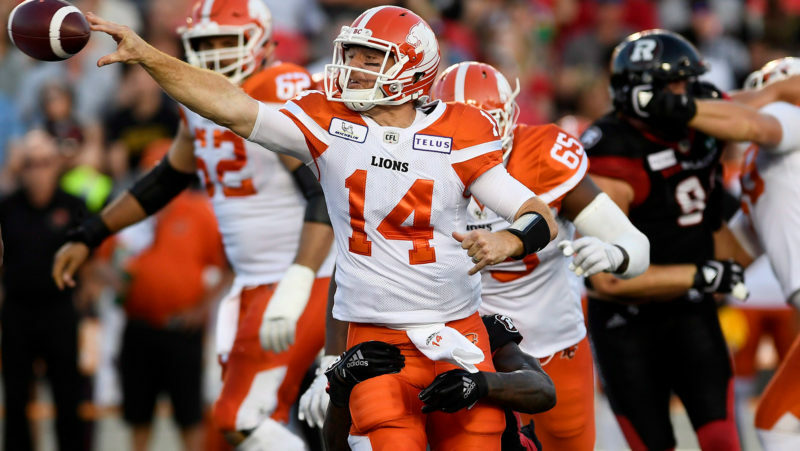 Travis Lulay is back again as the quarterback and as I wrote a few weeks ago when sizing up the West, if the Lions are going to do anything as noteworthy as 2011, they’ll need Lulay to be a candidate for Most Outstanding Player by the end of the season. Does he have the O-line needed to do that? To continue our trend of 2011, he had two CFL All-Star players in front of him; Angus Reid and sophomore CFLer Jovon Olafioye. If you’re writing down a list of All-Star offensive lineman, I’m not sure you’re going to find anyone in BC worthy of that honour. The battle is won in the trenches. So let’s take a look at the other side of the ball. In 2011, Aaron Hunt and Khalif Mitchell were CFL All-Star defensive linemen and defensive end Keron Williams was a CFL West Division All-Star. Again, is anyone up for a nomination? Odell Willis may be close but wouldn’t get many votes. So when you look at history and compare it to this version of the Lions, you probably start to doubt if they can have that same turnaround, led by the same head coach with the same quarterback slinging the ball. But maybe, just maybe, they find that same spark against the same team they found it against in 2011.
Who would know the story of 2011 just as well as anyone? Mike Reilly. A second-year, third-string quarterback at the time for the BC Lions. I’m sure the now-star Eskimos’ pivot will be doing his best to ensure history doesn’t repeat itself.